New World Health Organisation (WHO) data from 28 countries – representing approximately 70% of the global hepatitis burden – indicate that efforts to eliminate hepatitis are gaining momentum. Published to coincide with World Hepatitis Day 2017, the data reveal that nearly all 28 countries have established high-level national hepatitis elimination committees (with plans and targets in place) and more than half have allocated dedicated funding for hepatitis responses. On World Hepatitis Day, WHO is calling on countries to continue to translate their commitments into increased services to eliminate hepatitis. This week, WHO has also added a new generic treatment to its list of WHO-prequalified hepatitis C medicines to increase access to therapy, and is promoting prevention through injection safety: a key factor in reducing hepatitis B and C transmission. "It is encouraging to see countries turning commitment into action to tackle hepatitis." WHO Director-General, Dr Tedros Adhanom Ghebreyesus, said. "Identifying interventions that have a high impact is a key step towards eliminating this devastating disease. Many countries have succeeded in scaling-up the hepatitis B vaccination. Now we need to push harder to increase access to diagnosis and treatment." This year's theme, "Eliminate Hepatitis" is to mobilise intensified action towards the health targets in the 2030 Sustainable Development Goals. In 2016, the World Health Assembly endorsed WHO’s first global health sectors strategy on viral hepatitis to help countries scale up their responses. However, the new WHO data show that more than 86% of countries reviewed have set national hepatitis elimination targets and more than 70% have begun to develop national hepatitis plans to enable access to effective prevention, diagnosis, treatment and care services. Furthermore, nearly half of the countries surveyed are aiming for elimination through providing universal access to hepatitis treatment. But WHO is concerned that progress needs to speed up. According to WHO's Director of the HIV Department and Global Hepatitis Programme, Dr. Gottfried Hirnschall, the national response towards hepatitis elimination is gaining momentum. However, at best one in ten people who are living with hepatitis know they are infected and can access treatment. This is unacceptable. He recommended that for hepatitis elimination to become a reality, countries needed to accelerate their efforts and increase investments in life-saving care. “There is simply no reason millions of people still have not been tested for hepatitis and cannot access the treatment for which they are in dire need." Accordingly, WHO has disclosed in a press release that Viral hepatitis affected 325 million people worldwide in 2015 with 257 million people living with hepatitis B and 71 million people living with hepatitis C – the two main killers of the five types of hepatitis. Viral hepatitis caused 1.34 million deaths in 2015 – a figure close to the number of TB deaths and exceeding deaths linked to HIV. Hepatitis C can be completely cured with direct acting antivirals (DAAs) within 3 months. However, as of 2015, only 7% of the 71 million people with chronic hepatitis C had access to treatment. WHO has assured the countries that it is working to ensure that DAAs are affordable and accessible to those who need them. Prices have dropped dramatically in some countries (primarily in some high-burden, low-and lower middle income countries), facilitated by the introduction of generic versions of these medicines. The list of DAAs available to countries for treating hepatitis C is growing. WHO has just prequalified the first generic version of one of these drugs: sofosbuvir. The average price of the required three-month treatment course of this generic is between US$260 and US$280, a small fraction of the original cost of the medicine when it first went on the market in 2013. WHO prequalification guarantees a product’s quality, safety and efficacy and means it can now be procured by the United Nations and financing agencies such as UNITAID, which now includes medicines for people living with HIV who also have hepatitis C in the portfolio of conditions it covers. With high morbidity and mortality globally, there is great interest also in the development of new therapies for chronic hepatitis B virus infection. The most effective current hepatitis B treatment, tenofovir, (which is not curative and which in most cases needs to be taken for life), is available for as low as $48 per year in many low and middle income countries. 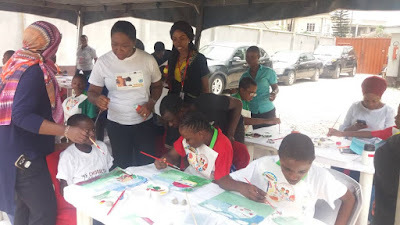 There is also an urgent need to scale up access to hepatitis B testing. Use of contaminated injection equipment in health-care settings accounts for a large number of new HCV and HBV infections worldwide, making injection safety an important strategy. Others include preventing transmission through invasive procedures, such as surgery and dental care; increasing hepatitis B vaccination rates and scaling up harm reduction programmes for people who inject drugs. Today WHO is launching a range of new educational and communication tools to support a campaign entitled "Get the Point-Make smart injection choices" to improve injection safety in order to prevent hepatitis and other bloodborne infections in health-care settings. Therefore, with efforts to eliminate hapatitis, World Hepatitis Summit will hold from 1st to 3rd November in São Paulo, Brazil. It promises to be the largest global event to advance the viral hepatitis agenda, bringing together key players to accelerate the global response. 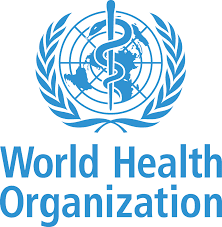 Organised jointly by WHO, the World Hepatitis Alliance (WHA) and the Government of Brazil, the theme of the Summit is, "Implementing the Global health sector strategy on viral hepatitis: towards the elimination of hepatitis as a public health threat.